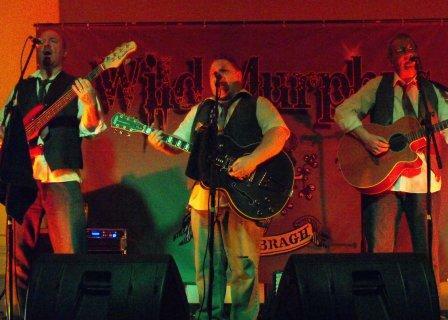 The Wild Murphy's Irish Show is a surprislingly affordable solo / duo / trio irish group based in the North East of England, playing great covers of songs by The Dubliners, Saw Doctors, The Pogues, Dublin City Ramblers and loads more. Book them for your Irish Night or St Patricks Night and you know you're guests will have a great time. Tim : Plays Banjo and Mandolin, Sings harmony (drinks slimline bitter lemon...) has worked in many country bands and has been a 'Murphy' since early 2009. Simon : Play Bass Guitar, Sings backing (and drinks anything !) has been in many bands & is the newest 'Murphy'.